Mile High On The Cheap is the best place to get your local business, organization or event in front of customers where they already are: online. Our readers are looking for things to do, places to shop and dine, entertainment, events, classes and community information in the Denver metro area. Reaching your target audience online normally takes extensive research and time. Our audience is made up of people who live, work or play in Denver/Boulder, so you know your ad is not going to be lost in cyberspace – it’s going to reach those who want to find you. A targeted audience of loyal followers that are passionate about entertainment and shopping in Denver/Boulder. Exposure to a large following that topped more than 2.9 million views in the past year. Package deals or individual choices including: banner advertising at the top of our most popular posts, custom sponsored content, social media or email blasts straight to our large audience. Banner ads: Mile High On The Cheap can post your banner ad and link it to the website of your choice. Banner ads are available in the left sidebar, right sidebar, in the main content area and within specific posts or pages. Most ads are positioned in the left sidebar and are rotated periodically to give each a fresh position. One spot is available in the right sidebar. We also monitor and track clicks, hovers and impressions. Rates start at $100 a week or $300 a month. Newsletter ads: We can insert your banner ad into our daily email newsletter, which is distributed every morning at 7:30 a.m. to more than 15,000 subscribers. These ads are available at a daily rate, with discounts for multi-day packages. Rates start at $50 per day, with a three-day minimum. Post or page sponsorship: This package places your digital banner ad at the top of a high traffic page and is a way to ensure maximum viewership of your product or service. Social media highlighting the post can include a “brought to you by…” message and be linked to your social media pages. Examples are year-round posts such as Free & Cheap Things To Do This Weekend, Kids Eat Free, Indoor Play Areas, Daily Food & Drink Specials, and seasonal posts such as Holiday Craft Fairs, Fourth of July, See Santa, etc. This package is priced at $125 per week or $400 per month. Sponsored posts: A sponsored post is an article that is published on the home page and we work with you to ensure that all pertinent details are included. This is our most popular campaign because it gives is the opportunity to describe the details and really get our audience excited about your offering or event. The post will also go out in our e-mail newsletter with more than 15,000 subscribers, as well as our social media channels. Including on our event calendar, if an event. The cost for a sponsored post starts at $400. Giveaways: Our readers love to enter to win. We can offer giveaways of a product, service or event tickets. Giveaways include a post, plus social media promotion on Facebook and Twitter and start at $100. Ticket distribution: Want to distribute free passes to an event or a Buy-One-Get-One Free for an activity? We can work with you to create a promotion including post where we gather the names and provide them to you in a list for use at your entry. Rates start at $100. 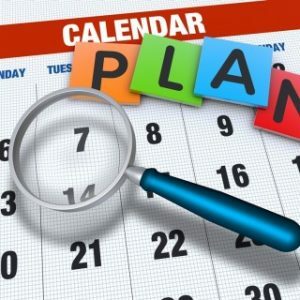 Featured Calendar listing: Highlight your event on our calendar with a Featured Listing including image for a one-time fee of $50 or $25 if an add-on to a package. Add-on: Give your sponsored article or digital ad a Facebook Boost for an additional fee. Discount Packages: We’re Mile High On The Cheap, so of course we offer package options that are a good deal! Custom packages can include banner ads, featured calendar listings, email, social and/or content placements. Please contact us to discuss rates. Discounts are available for nonprofits and/or based on term of contract. Ready to share your event or business with our enthusiastic readers? We’re happy to put together any of the above solutions, add social media options or create a custom advertising solution that’s the best fit for your business, organization, event AND budget. For all questions regarding advertising, please contact Laura at ads@milehighonthecheap.com.